Join C.R. 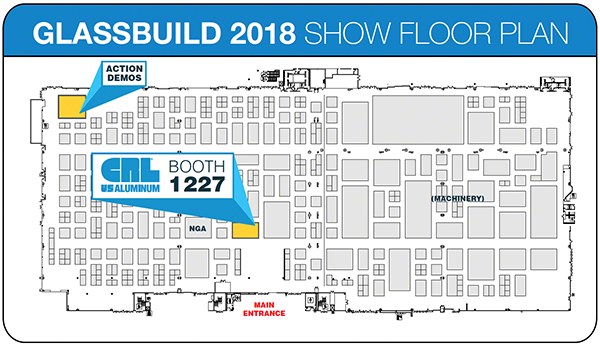 Laurence-U.S. Aluminum at GlassBuild in Booth #1227 to get a first look at what’s next in glazing systems! Our booth will showcase a wide variety of new products that can improve your lead times, simplify installations, and enhance aesthetics. The groundbreaking Entice Panic Device features a 2-piece design with an independent, ultra-narrow horizontal crash bar that’s engineered to easily and securely attach to the vertical panic component. The system can be mounted onto monolithic tempered glass and 1" insulating glass. The first-of-its-kind Entice Entrance System gives you the look you want and the performance you need. Its ultra-narrow 1-1/8" vertical stiles produce all-glass aesthetics while thermally broken framing and cladding delivers U-factors as low as 0.43. 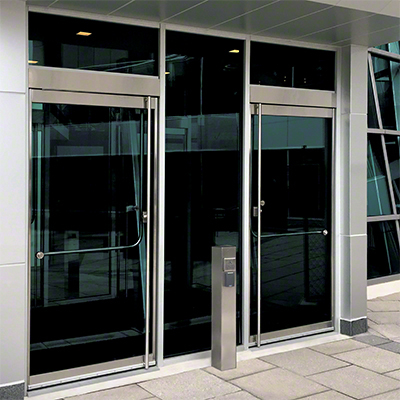 Meet stringent energy codes—including California Title 24—with CRL-U.S. Aluminum’s Mojave Series Advanced Thermal Entrance. 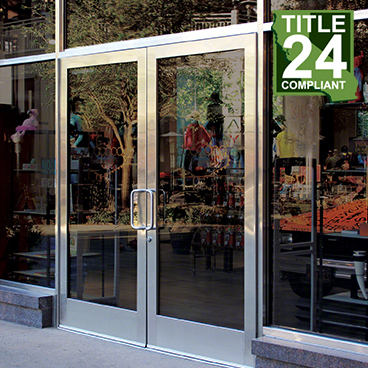 A standard 1-3/4" door thickness makes it compatible with most hardware, resulting in a cost-effective thermal entrance that’s easy to install. 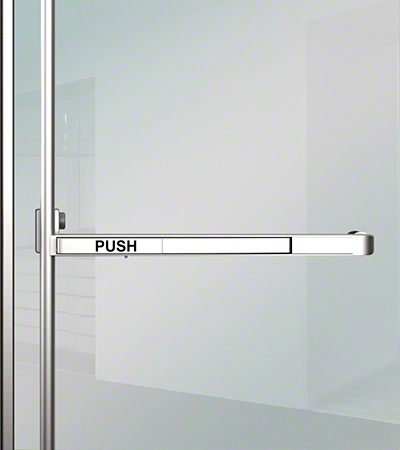 Clear Space features a unique top door guide that produces an industry-first elliptical door swing. This maximizes floor space by significantly reducing the door swing projection away from the opening. Minimal hardware provides all-glass visuals. 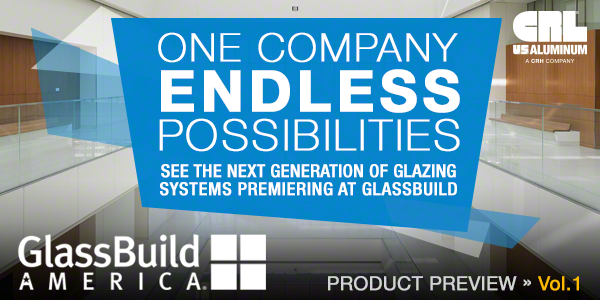 GlassBuild will have several educational opportunities available for you to strengthen your industry knowledge. That’s why you should make the Action Demonstrations Booth on the exhibition floor a priority destination! C.R. Laurence-U.S. Aluminum experts will be on hand to provide two presentations on relevant industry topics to help you overcome common challenges. When: Wednesday, September 12, 2 p.m. 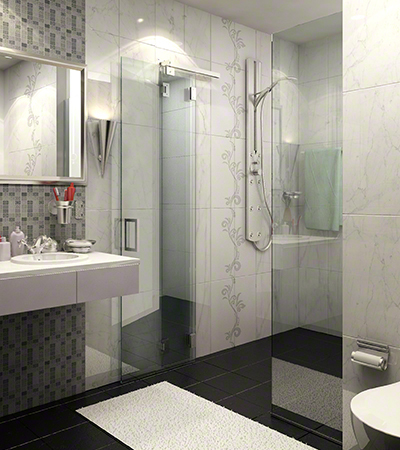 The Frameless Shower Door market continues to expand at a rapid rate. This presents a great opportunity to grow your business. Join CRL team members as they help you capitalize on this booming segment by demonstrating the latest hardware, tools, and installation techniques. When: Thursday, September 13, 11:30 a.m.
Glass Magazine named our GRS TAPER-LOC® Glass Railing System the “Most Innovative Commercial Hardware Product”. It can be installed up to 50% faster and allows easy one-person installation. Join us for a live, hands-on product presentation that will also cover glass railing installation best practices and important code considerations. Copyright © 2018 C.R. Laurence Co. Inc., All rights reserved.